My name is Irena Domingo, I have spent half of my life in Russia and the other half outside it. 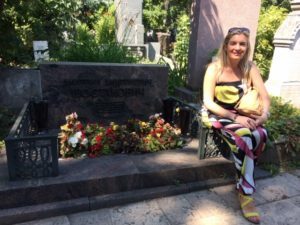 I started this blog with one goal: to create the most complete guide ever written to travel to Russia and beyond (that is, to countries of the former USSR or countries bordering Russia). The profile of the visitors of this blog is very varied, but they all have one thing in common: Russia. For those who are organizing their trip to Russia, be it for tourism, studies or work. Also for those who have business or commercial relations with the Russian market. Or those who have family in Russia or who have found their better half in Russia. Those who feel admiration and love for Russia and/or the Russians, meaning, Russophiles. Or those who hate Russians, also called Russophobes and who come here from time to time. Finally, there are people who search Google for information about the Russian salad and that magically comes to this blog. In this Blog you can read articles on a regular basis about topics related to traveling to Russia or about Russian products. I have put a lot of effort for the published information is of quality, interesting, clear and with a lot of detail (but without getting readers bored). 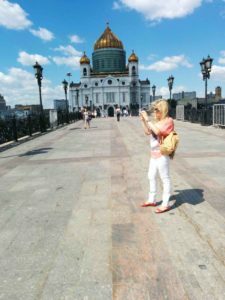 You will also find the Travel Guide to Russia, an eBook with first-hand information to organize your trip to Russia online in a much easier and cheaper way. This guide, which I update every year, has an eminently practical character (Do it Yourself!) that Lonely Planet guides would actually love to have 😉 The sale of this guide, along with my work as Russian language teacher, and some of the services I recommend are the ones that support this blog and that have allowed me to convert my hobby into my work. I am Russian by birth (1974). My father is Russian, but I have the surnames of my Spanish mother, also born in Russia and daughter of Spanish exiles during the Spanish Civil War, the so-called Children of Russia (thousands of children sent into exile from the Republican zone to the Soviet Union, between the years 1937 and 1938). I have spent half my life in Russia and the other half outside of Russia. I began to work as a Russian interpreter, back in 1995, when the Russians were a “rare species” abroad, since the disintegration of the former USSR was still quite recent. 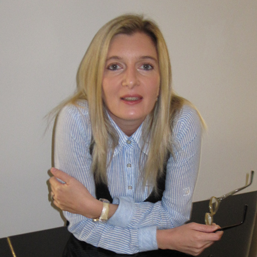 My professional life has been linked for the last 20 years to the world of teaching, and also as a Russian language translator and interpreter. 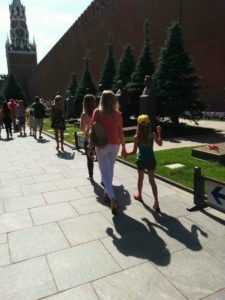 In mid-2015 I created this blog about Russia where I started publishing content about travels, especially for people interested in traveling to Russia independently.